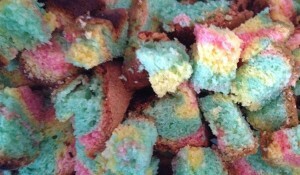 Maureen’s rainbow cake . . .